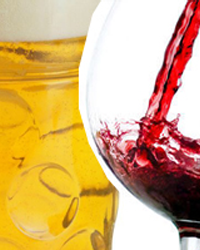 Beer sales are constantly losing ground to wine and coffee on premise. A recent article from Clubs NSW indicated some clubs have increased wine sales by 60% in the last financial year. This increase is not only symptomatic of declining beer sales across Australia, but also of a broader appreciation of quality wine and dining experiences (thanks to the cooking channel and Masterchef). Whilst some venues may lament the decline of beer, it does open the opportunity for increased beverage profit margins with wine products. Nothing is worse than a customer asking their waiter “what can you recommend?” to receive a reply of “um, I don’t know. I don’t drink wine.” Yet we’ve all heard it before. Customers are often hesitant about trying new wines in fear of ordering something that tastes close to engine oil. However, with the growing interest in wine, there is now a demand for venues to provide wine training to staff in order to educate customers and sell beverages as part of the ‘dining experience’. ClubsNSW CEO Anthony Ball commented recently that clubs are “holding tasting nights with a winemaker for customers, and investing in educating their staff about wine so they can then help customers find the right wine for them”. He also talks of clubs introducing special events to promote wine through degustation nights and specialty on premise wine bars. The question is, are you concentrating on growing your wine sales and do you have a strategy in place to maximise your profit from wine? If you are looking for practical advice on how you can improve your wine list, profit margins or staff knowledge and sales techniques, contact Danny Nixon-Smith.